With Andrew McGregor. Building a Library: Beethoven's Diabelli Variations; New releases: Claire Booth, Sonia Prina, Katja Webb and John Mark Ainsley; Disc of the Week. Building a Library: Iain Burnside recommends a recording of Beethoven's 'Diabelli' Variations. 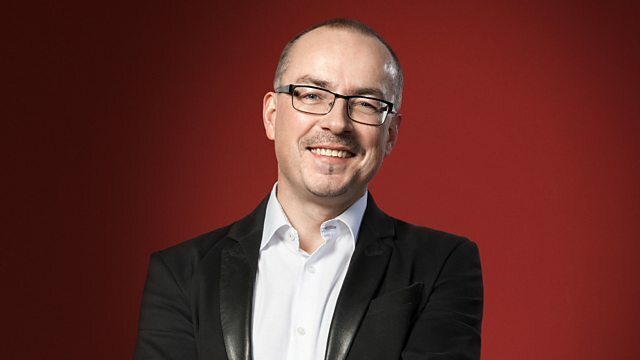 Hans von Bülow dubbed the 33 variations, which take the best part of an hour to perform, 'a microcosm of Beethoven's art', and Alfred Brendel has described them as 'the greatest of all piano works'. Performer: Bjarte Eike. Music Arranger: Bjarte Eike. Ensemble: Barokksolistene. Performer: Barokksolistene. Performer: Bjarte Eike. Music Arranger: Barokksolistene. Performer: Penelope Thwaites. Performer: Timothy Young. Performer: Mark Padmore. Performer: Sacconi Quartet. Performer: Sophie Bevan. Performer: Ian Page. Ensemble: The Mozartists. Performer: The Bach Players. Performer: Nicolette Moonen. Hyphen Press Music HPM 011. Performer: Yo‐Yo Ma. Performer: Chris Thile. Performer: Edgar Meyer. Music Arranger: Yo‐Yo Ma. Music Arranger: Chris Thile. Music Arranger: Edgar Meyer. Performer: Edgar Meyer. Performer: Chris Thile. Performer: Yo‐Yo Ma. Music Arranger: Yo‐Yo Ma. Music Arranger: Chris Thile. Music Arranger: Edgar Meyer. Performer: Asya Fateyeva. Performer: Württembergisches Kammerorchester Heilbronn. Performer: Ruben Gazarian. Concerto in B minor BWV596 i. Performer: Max Emanuel Cenčić. Performer: Lauren Snouffer. Performer: Pavel Kudinov. Performer: Ann Hallenberg. Performer: Xavier Sabata. Performer: Anna Starushkevych. Performer: Il Pomo d’Oro. Performer: George Petrou. Below is a shortlist of other recordings which Iain also liked, although we can’t guarantee the availability of these discs.